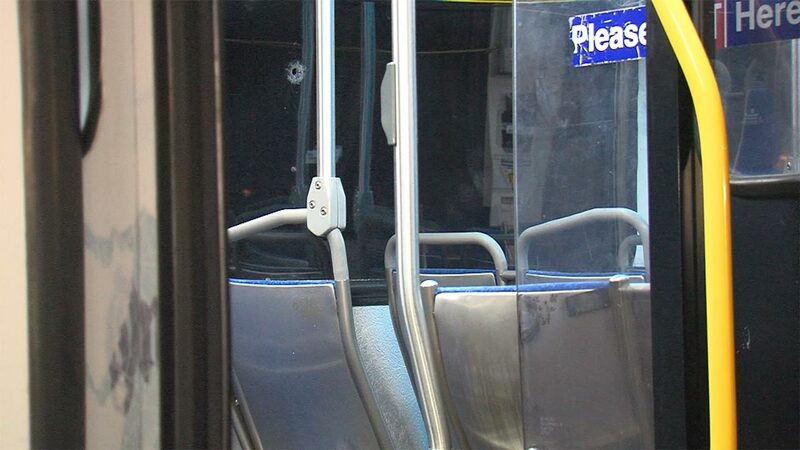 CHESTER, Pa. (WPVI) -- A SEPTA bus was hit by a bullet after gunfire erupted in Chester, Pa. late Saturday night. Police say they responded to the area near a Sunoco station in the 2200 block of Edgmont Avenue shortly before midnight. Officers say a crime scene was located, but no victims could be found. A few moments later, dispatchers received a call from SEPTA saying a bus had been hit by a bullet. Images from the Action Cam show a bullet hole in one of the windows. An investigation into this incident continues.